Katharine Hamnett London 1982 archive reissue military inspired hooded khaki padded parka. Split zip fastening at front with press studded closure. Self fabric drawstring at waist and hood with drawstring detail on back of hood. Press stud adjustable tabs at wrist. Inset side pockets at front with flap and press stud closure. Stitched through side pockets at hip. Concealed inside breast pocket with zip fastening. Quilted recycled polyester wadding with organic cotton satin lining. 100% organic cotton. Made in Italy. 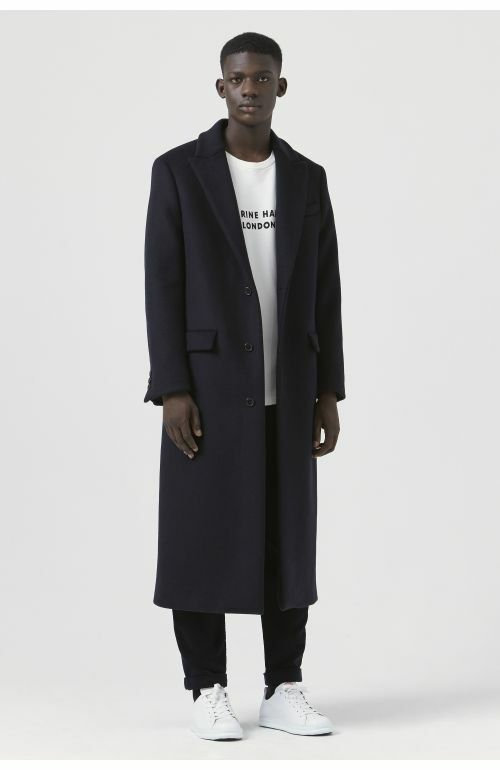 The model is 6'2"/188 cm and is wearing size M. Oversized fit, we recommend you choose one size smaller for a more regular fit.